Welcome to The Gospel Project, home of celebratory music! We’re glad you’ve found us. If you’re searching for a professional gospel ensemble for a wedding, retirement, celebration, function or indeed any occasion that calls for joyful music, then look no further. We’re based in Dublin, but travel wherever the music demands. Our remit includes everything from raising the roof at festivals and writing our own original material in the gospel genre, to providing top-quality gospel music for wedding ceremonies, functions, and corporate events. One of this country’s finest vocal harmony groups, we are guaranteed to make any occasion unforgettable. Boasting experience, outstanding musicianship, and an unmistakable passion for the music we perform, The Gospel Project have been raising roofs around Ireland since 2004. 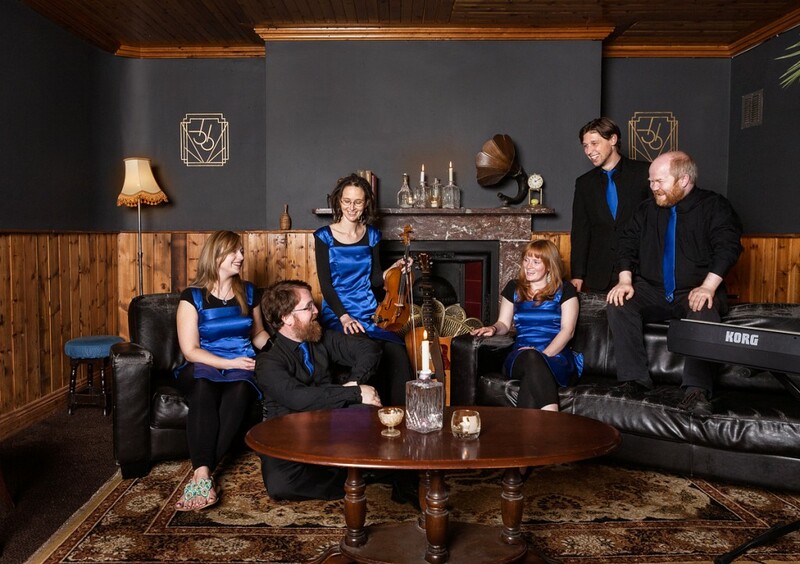 In addition to singing at weddings, we have considerable experience recording, and performing at functions and corporate events in venues such as the National Concert Hall, Phoenix Park, The Sugar Club, Crawdaddy, The Button Factory, Dunamaise Arts Centre, the Axis Centre and The RDS. We’re fresh from a special gig to celebrate St. Valentine’s weekend, on Sunday February 17th in the Dublin Unitarian Church and now we’re looking forward to the springtime, when love is truly in the air. So if you’re getting married soon, our weddings page is well worth checking out. Even if you’re not getting married, whether it’s a recording, a gig, a wake or a party, we look forward to livening it up for you! Need any further information on this or any of our other services? Drop Cathy a line on info@thegospelprojectireland.com or 087-6361314. 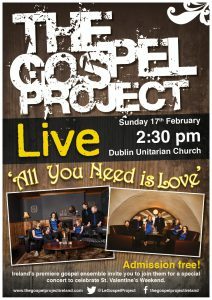 Please visit the Events page for info on all of The Gospel Project’s forthcoming performances.